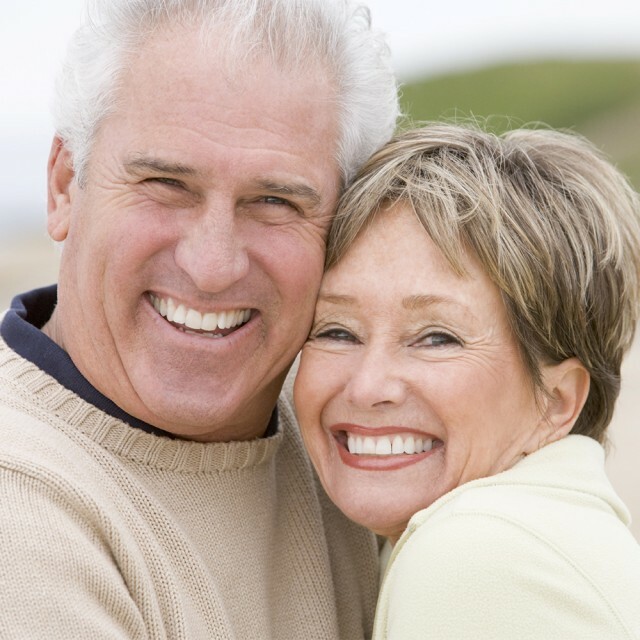 A denture is a removable alternative to lost teeth and surrounding tissues. It consists of rows of artificial teeth implanted in artificial gums, dentures are customized to each patient. 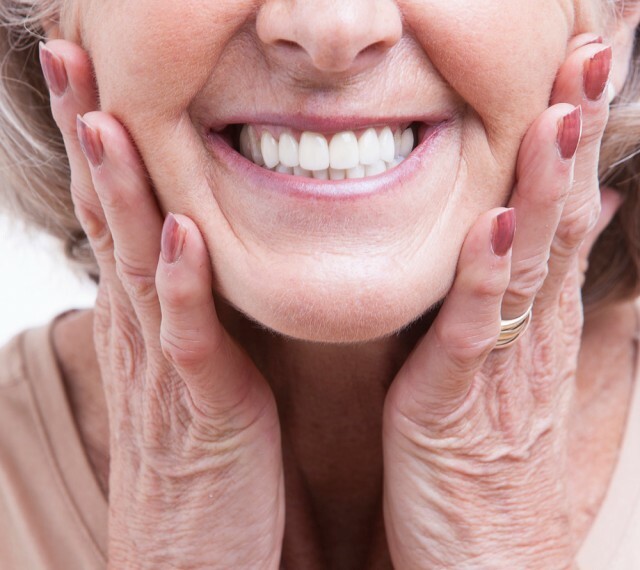 A denture compensates for natural tooth loss resulting from accidents, tooth fragility, or natural decay with age. 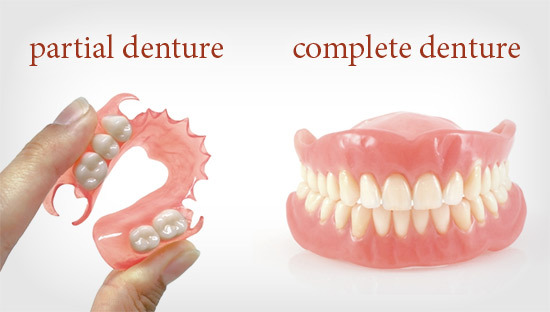 When all teeth are missing from the mouth, a complete denture is used. 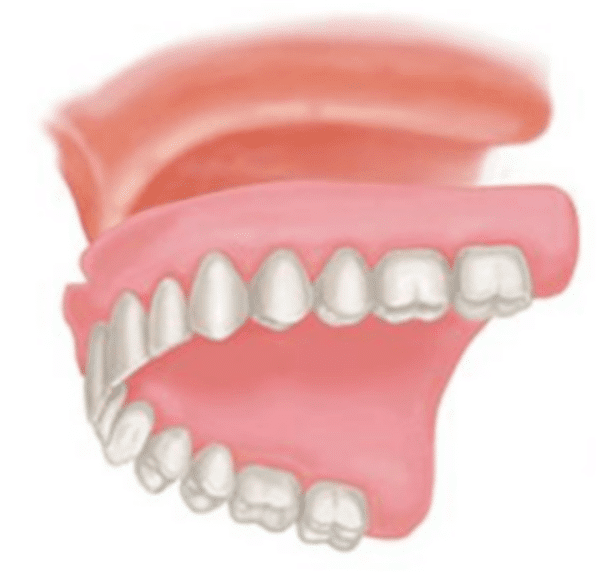 Complete dentures are removable and can require adjustments in order to create a suitable fit with the gums and mouth. When some of the natural teeth remain present in the mouth, a partial denture can be used. Complete dentures can be “conventional” or “immediate”. Conventional dentures are created to resemble natural teeth and are placed in such a way as to replace them perfectly. Immediate dentures are pre-manufactured and can be placed as soon as teeth are removed. However, the bones and gums shrink over time, especially during recovery after tooth removal. This means that the fit can worsen, and immediate dentures should be seen as a temporary solution before conventional dentures can be manufactured. A removable, partial denture usually consists of alternate teeth attached to a plastic base, sometimes linked to a metal frame that holds the device in place in the mouth. 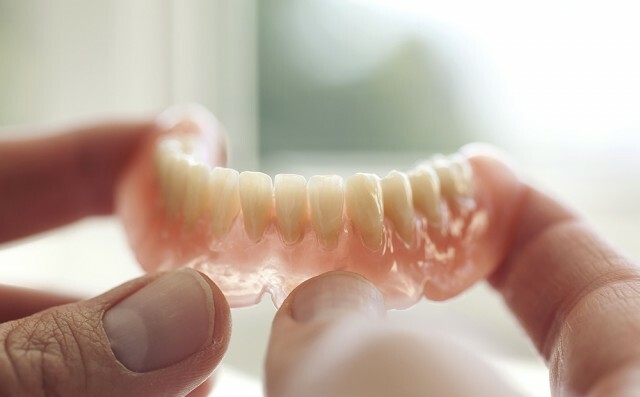 Partial dentures are used when one or more natural teeth remain in the upper or lower jaw, which allows for connection to the artificial teeth. A partial denture not only fills the gaps left by the missing teeth but prevents other teeth from changing their position. Say goodbye to traditional plastic dentures. 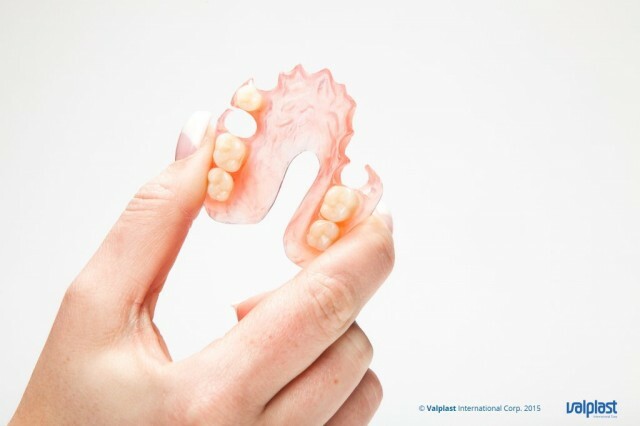 Valplast dentures were first developed in the late 1940s from a vision to create a denture that feels more natural and is more comfortable to wear. 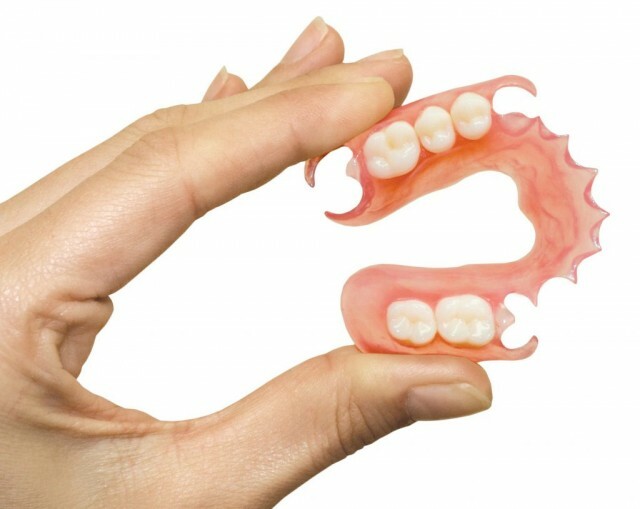 Patients who have wore both traditional dentures and Valplast ones report that the latter feels more natural and is more comfortable to wear. Also the denture is tight-fitting and which prevents the denture coming loose or unclear speech. 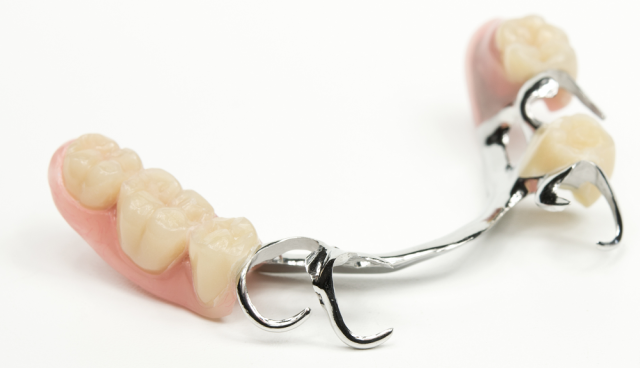 Chrome dentures are made with acrylic teeth and gum built on a metal alloy framework. Due to the strength of chrome over traditional plastic, the framework which sits behind the teeth is much thinner than traditional dentures. These dentures also incorporate clasps which anchor the denture to the natural teeth, allowing them to be more stable and comfortable than traditional dentures. Chrome dentures are more expensive than acrylic dentures but they prove to be a better investment long term. They are much stronger and less likely to break. First, a series of impressions are taken. Measurements are taken of the jaw, teeth and spaces around them. A bite registration is made. The teeth will be evaluated for color, shape, and suitability before the final denture is constructed. Adjustments are made as necessary. New dentures may feel a little strange for a few weeks until the muscles of the cheeks and tongue learn to keep them in place, and you become comfortable with inserting and removing them. Mild irritation and increased saliva are initial problems that will pass as the mouth adapts. Is the denture going to make me look different? Dentures are made to resemble your natural teeth so there should be no noticeable change in your appearance. In fact, the dentures can result an improvement to your smile. Dentures will lift your skin and remove some wrinkles. This will improve your smile and self esteem. Eating with the new dentures will take a bit of getting used to. To become familiar with the new dentures, start with light snacks cut into small pieces. As you get used to new dentures, add other foods until you return to your normal diet. You will be instructed on how to insert and how to remove your new dentures. During the first few days you may be asked to wear them all the time, including at night. Although this may be temporarily uncomfortable, it is the fastest way to identify which areas of the denture may need to be adjusted. Once the adjustments have been made, you should remove the dentures before going to bed. This allows the gums and mouth to rest and remain healthy.